Over the last 15 years there have been huge advancements in the range and quality of sound , lighting and audio visual equipment. This in turn has lead to many establishments looking for a company that can advise them on how they can incorporate this technology into their establishment and maximize it’s potential to achieve new and exciting results. River Audio have the experience and expertise to help you achieve your specific design requirements and have completed many different types of installations ranging from sound systems, background public address (PA) systems, stage lighting, complex AV solutions, LED lighting and architectural installations. Our services include consultation and design complete with the installation and annual service and maintenance contracts. 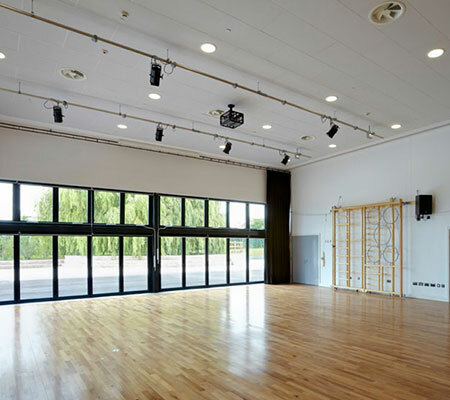 Our installation services cover many different clients ranging from schools, colleges, academies, live music venues, theatres, commercial and industrial offices, theme parks, houses of worship, bars, clubs and restaurants. We would be delighted to discuss your next project with you, please call 01453 882256 or use the contact form below, and we will contact you to arrange a convenient appointment. We are also happy to work with clients who simply want to add to their existing equipment, or change aspects of their set-up for more suitable or more up-to-date equipment. We also offer a re-wire service, whereby cables can be tested, ‘tidied-up’ or replaced if worn, to help ensure you enjoy continued and reliable use. With all our clients, we always endeavor to “work around you”, to reduce disruption to working and educational environments. In our experience, by carefully planning each step of the installation, with you, this takes the headache out of adjusting your sound, AV and lighting requirements.